In 1840, beards were derided but, just 50 years later, almost every man in the public eye sported one. Why did beards explode under Queen Victoria? And can they be good for health? It's the most celebrated period of British ingenuity, but are our Victorian forebears due a rethink? Sci-curious sisters Kat and Helen Arney are on hand with some revisionist revelations that could turn what we think we know completely upside down. The current fad for furry face furniture can be traced back to the Victorians. If you think we're at Peak Beard in 2017, think again! But the growth of facial hair isn't a straightforward story. In 1840 beards were derided and only one MP dared to sport one. Just 50 years later, before the end of the century, nearly every man in the public eye had bearded up. Why did beards explode under Queen Victoria? And is it true that beards can be good for health? Helen and Kat are hunting for the hairy truth. 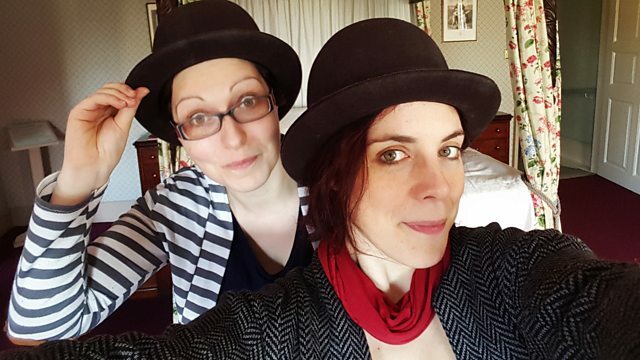 Helen Arney is a presenter and comedian, and Dr Kat Arney is a writer and broadcaster who has published a book on genetics. See all episodes from Did the Victorians Ruin the World?